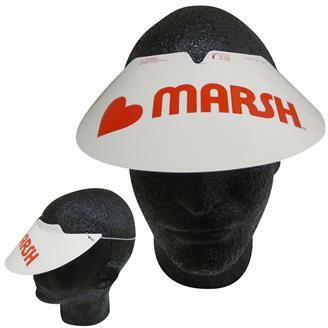 Get your brand noticed with this adjustable pop-up visor with elastic band attached. Made of high density 14 pt white paper board and iquid laminated for a high gloss finish. Perfect for golf tournaments, parties, corporate events, company parties or any event where you need to shade your face.